We did the traditional CHH manoeuvres of trot away from the ride, halt and trot back then trot away, halt and canter back with ease. He always waited to be asked but he knew exactly what his role was. 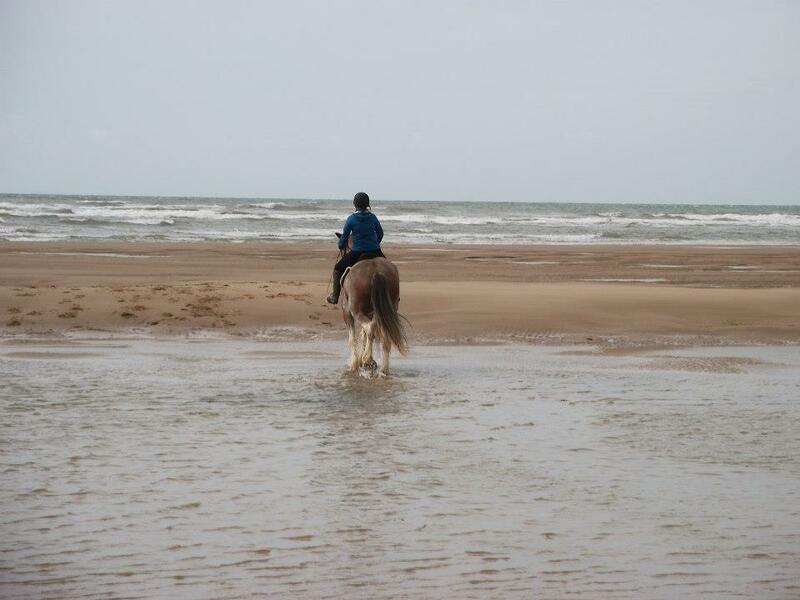 I remember the feeling of joy as we cantered up the beach through the sea with another rider passing us and splashing us deliberately all the while laughing so hard. Lugs stayed tuned in to me most of the time and while we may have been last in in the canters and gallops I don’t think either of us cared. As my confidence grew it was clear Lugs responded and we set off faster and happily posed for pictures. At the turning point we played around on a shingle bank, galloping up it while making as much noise as possible. I don’t think we won any of the wee races up the bank but I was laughing so hard I was crying. Then…we turned for home. Oooft…I have said it before and I will say it again Annie’s horses are no plods. I was riding with a family all of whom were excellent riders and so much fun to be with along with Annie, the owner of CHH. When we set off on the 1st gallop I actually screamed ‘NO! – STOP’ but no one heard me so I had to sort my position and hold on! Two seconds later you couldn’t wipe the grin from my face. The dad of the family later admitted to hearing me but after quickly checking I was secure had realised I would get so much more out of continuing the gallop. He was spot on. Lugs held back initially but as my love of galloping and that horse grew our speed increased until we were overtaking people! I was sad that this ride ever ended if I am honest and that’s why he is in my blogger picture. It also explains the huge smile – this was taken right at the end of the ride. 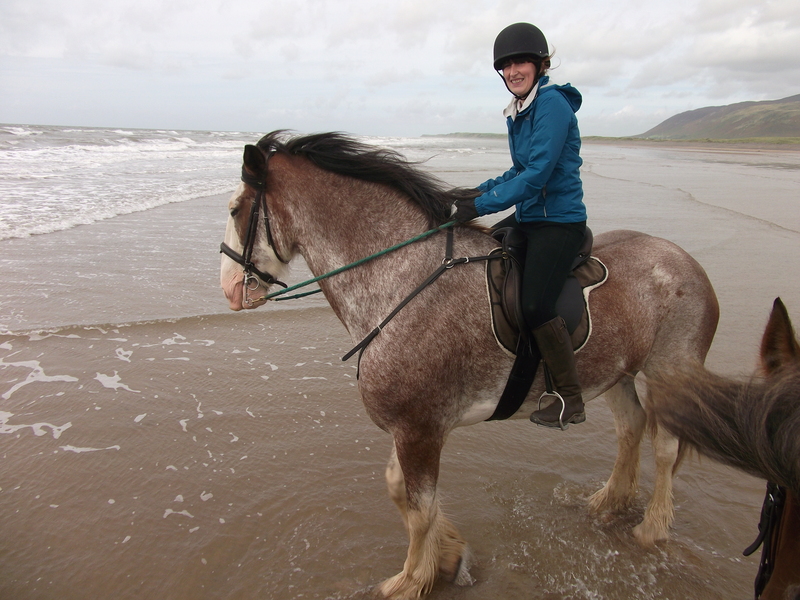 I remain so proud of that ride – I did my ‘experienced riders only’ beach ride. 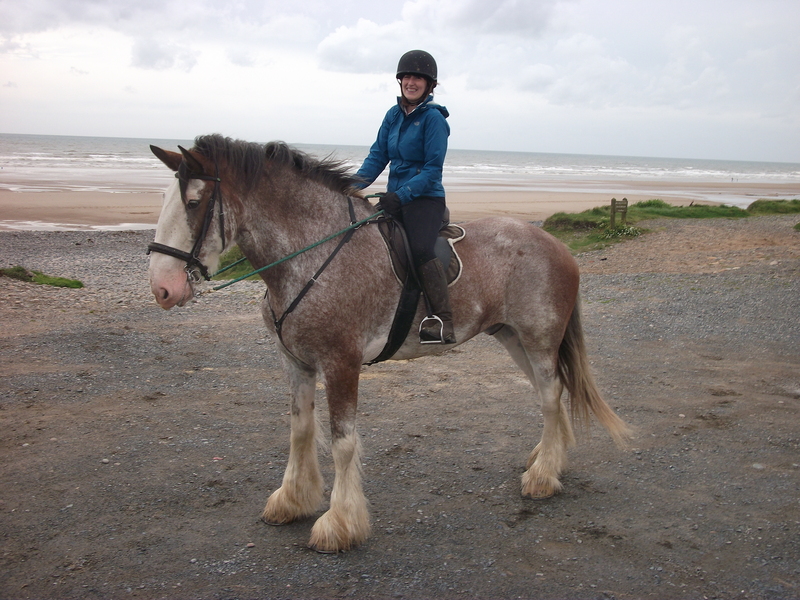 I only rode Lugs once but as you can see I remember it well, he was an exceptional horse and the perfect Clydesdale to guide me through that experience. Thank you Lugs and rest in peace.